Over 29 million people in the United States have Type 2 diabetes, with millions more remaining undiagnosed. 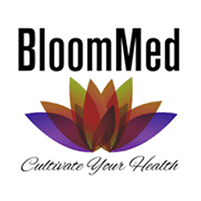 Dr. Stephanie Cudjoe can diagnose Type 2 diabetes and provide treatment plans to prevent additional medical complications at BloomMed LLC. She prefers to educate her patients about the disease to ensure they make good lifestyle choices moving forward. Schedule a consultation online or over the phone to learn more about how best to manage your condition and enjoy a long and healthy life. Type 2 diabetes is a condition that causes your blood sugar to be elevated. It happens because your cells can’t properly absorb glucose, which they do with the help of a hormone called insulin. If you have diabetes, your body can’t use the insulin it makes, or it just doesn’t produce enough. Your pancreas is responsible for making insulin, and it produces the hormone to keep your blood sugar levels within a normal range. When this regulation doesn’t happen for one reason or another, glucose levels in your bloodstream rise. Initially, your pancreas may try to overcompensate and make even more insulin. However, over time the insulin-producing cells in your pancreas become impaired. Eventually, the result is Type 2 diabetes, also known as insulin resistance. When this condition is left untreated, your cells remain starved for energy. This can cause you to develop high blood pressure, heart disease, kidneys problems, vision impairment, and nervous system dysfunction. Your ethnicity may also be a factor in developing Type 2 diabetes. Native Americans, Hispanics, African-Americans, and Asian-Americans are more likely to develop Type 2 diabetes than other ethnicities. If you have prediabetes -- a condition where your blood sugar levels are higher than normal but not high enough to warrant a diabetes diagnosis -- or gestational diabetes -- uncontrolled blood sugar levels during pregnancy -- you may be more likely to develop Type 2 diabetes. Type 2 diabetes can also interfere with the immune system’s ability to fight infections and heal wounds. You may notice you have frequent infections or skin sores that are slow to heal. Dr. Cudjoe may initially recommend lifestyle changes that include an improved diet and plenty of exercise to help you maintain a healthy weight. You will also need to monitor your blood sugar levels daily. If lifestyle changes aren’t enough to get your blood sugar under control, Dr. Cudjoe may recommend medications alongside a good diet and exercise plan to lower blood sugar levels. 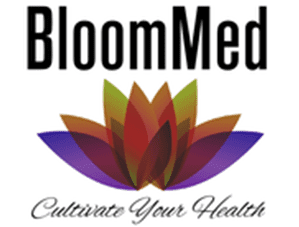 Book an appointment online or by calling BloomMed LLC to learn more about treatment and prevention of Type 2 diabetes.